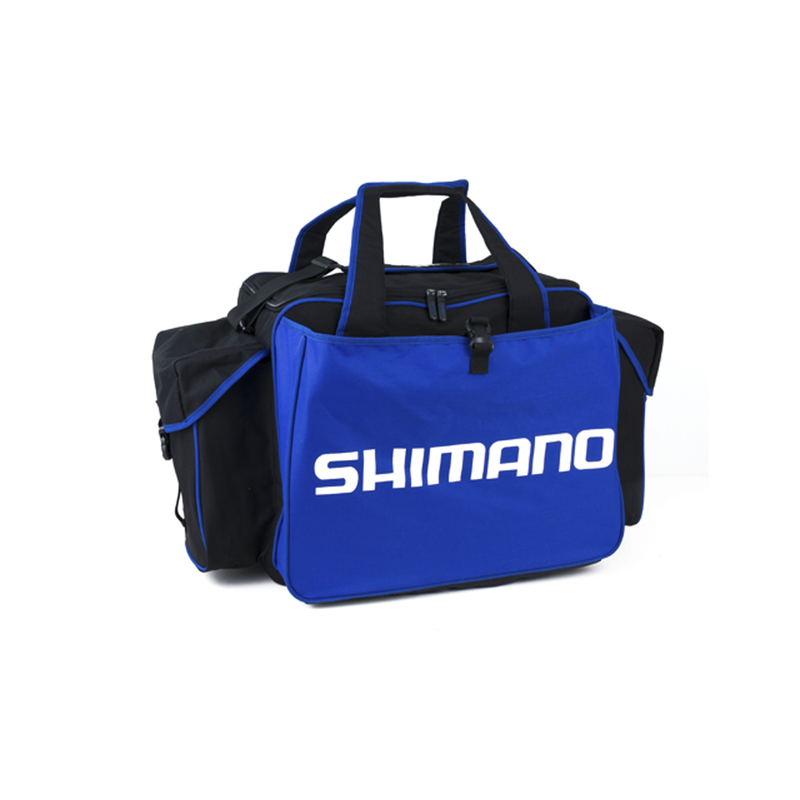 • DeLuxe Carryall 52x37x43cm • Large front pocket to keep 2 keeping nets with adjustable strap to secure front pocket. • 1 keeping net bag (SHALLR13) included. • 2 full fabric closed pockets instead of mesh fabric on the sides with adjustable straps. • Adjustable shoulder strap and carry handle.